A Sunshine Coast couple have turned their lives around, and they are helping others do the same. Your teenage years should be some of your best. You have no obligations, no real responsibilities. For many, life is all about friends and fun. But for Chris Paterson, this wasn’t the case. Instead, by the age of 14 he was dealing with panic attacks and anxiety – he felt like his life, although it had just begun, was slipping through his fingers. To cope, he turned to alcohol at the tender age of 15. Even so, it was around this time he met his now wife Kristy, a young lady surviving her own story of schoolyard bullying, followed by depression after she discovered she was pregnant at just 21. “I was working in my dream job as a cheetah handler at a zoo and got promoted to head of the department,” Kristy says. “The following day I found out I was pregnant. My world turned upside down because I had to immediately resign, tell family and friends I was pregnant at such a young age and deal with everything that pregnancy and birth had to bring. The Caloundra pair enlisted the help of a friend to sober up and turned to a new form of anti-depressant – exercise and the great outdoors. In particular, the ocean. 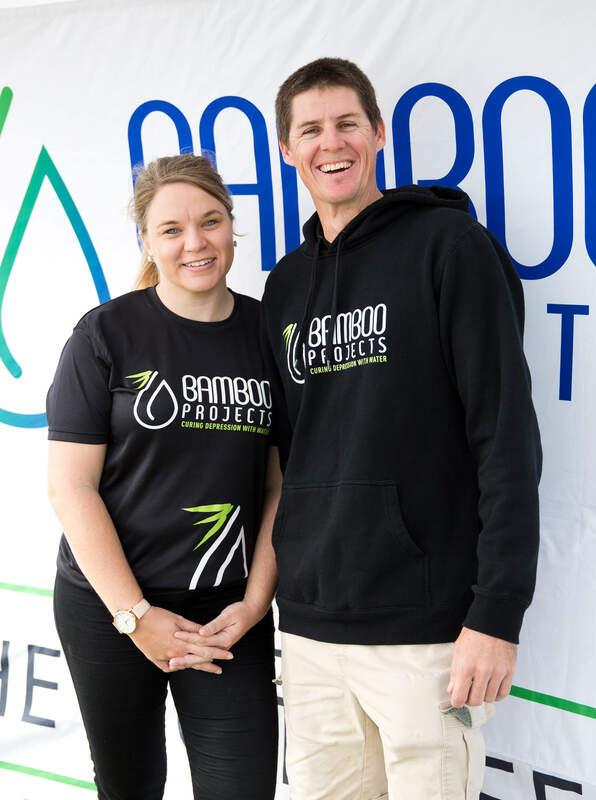 It was this change that shaped the future for the couple who welcomed their second child two years later, and a third baby – Bamboo Projects – in 2015. The young couple has been using a five-metre boat to conduct their activities, but after setting their sights on getting those with physical disabilities out on the open water too, they are in desperate need of some equipment upgrades. “We can take out up to five people at a time currently, which is fantastic, but since having interest from the Spina Bifida Association and Cerebral Palsy League, we are hoping to get some funding for a wheelchair-accessible boat,” Chris says. “The boat, fully fitted out, will be $150,000. We have received a commitment from two local councillors who will put $12,100 towards it, but we have a long way to go until we reach enough to start the construction,” he adds. The boat will be the first of its kind in Australia to offer mental health services for free. It’s a huge milestone for Chris and Kristy, who plan to take it nationwide in a bid to help as many people as possible. And although this feat alone is inspiring, this isn’t where it ends for these Coast locals. After a full plate of activities in 2018, the family of four will venture on a year-long journey around the country as part of a new project, Keep Moving Forward. and the sand can provide such amazing healing benefits to us physically and mentally. “The idea of the Keep Moving Forward project is to set a huge goal and continue moving forward no matter what until you reach that goal,” Kristy adds. The pair intends to leave a metaphorical blueprint of what they do all around the country so the communities they visit can continue supporting each other long after they’ve left. • If you or someone you know is struggling, get in contact with Bamboo Projects through Facebook.com/bambooprojects. Chris’s phone is on 24/7 if you need a friend on the other end of the line to chat to. • Attend the Bamboo Projects community events, which are held monthly. • Make a tax-deductible donation. • Sponsor part of the Keep Moving Forward project. Chris and Kristy are looking for 52 sponsors who will donate $1000 each to fund the journey and community events.